Whether it is your first time bringing your little one to daycare, or it is just another Monday morning, drop-off can be rough for both kids and parents. Read our tips to make your transition a little easier! Relax: Your child can pick up on your emotions, and if you are stressed, sad, or frustrated they can sense it. Relax, and share your peaceful mood with your child. Establish a routine: Try to make the morning routine consistent, and familiar for your child. A routine lets your little one know what to expect, and eases fears. Don’t linger: Drop-off time should be just that, and if you linger for longer on certain days, it will be harder for your child to say goodbye. A quick kiss, hug, and “I love you” is a great way to leave. Expect tears: Don’t be surprised if your little one sheds some tears (even after weeks of being fine). Tears are an easy way for kids to express themselves, and kids can quickly shake off the tears and start playing. Bring something from home: If your child has a special animal, see if they can bring it to daycare. A familiar stuffed animal can ease the transition from home. Communicate: Touch base with your child’s teachers to find out how long their crying lasted, or to ask other questions. Great communication between you and your child’s teacher will make their experience better. At Growing Kids Learning Centers we understand that dropping your child off can be a traumatic experience for both kids and parents. We strive to offer a nurturing environment that can help your child feel safe, secure, and want to go to daycare! 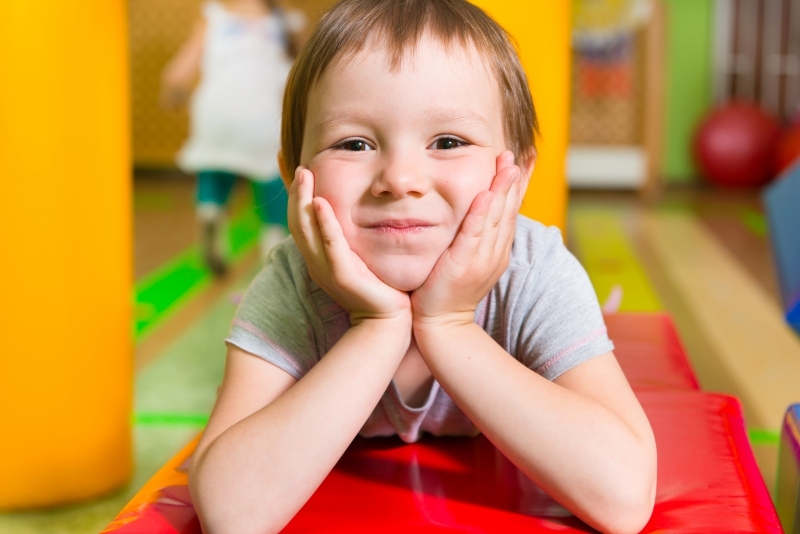 If you are looking for a daycare in South Bend, call us today!